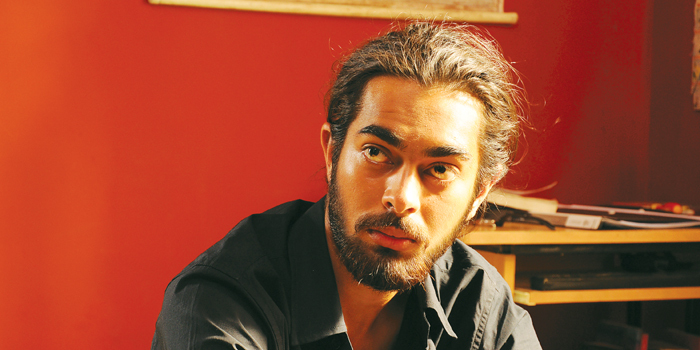 Manjot Singh was first noticed as the younger Lucky in Oye Lucky! Lucky Oye! It is ironic that he was initially rejected by the casting director till director Dibaker Banerjee put his foot down. This was the turning point in Singha��s life, after which he went on to act in movies like Udaan, Pure Punjabi, Student of the Year and Fukrey. The 21-year-old actor will be seen next in What the Fish, starring Dimple Kapadia and Anand Tiwari. a�?The story is about a lady, played by Dimple Kapadia, who leaves her house for a few days. The house is taken over by a bunch of youngsters who create a ruckus and organise parties. It is a series of comedies with different layers,a�? he says. Singha��s dreams of acting with big stars came true with What the Fish. a�?One always wants to work with big stars and Dimple Kapadia is one of the biggest stars in Bollywood. I got to observe how she works; she is extremely down to earth and doesna��t throw any tantrums. Even if someone comes late to the set, she would wait. Most of all she is so beautiful,a�? sighs Singh. Comfortable with ensemble movies, he admits he is not ready for main roles. a�?a�?Even if I want to be a hero, no one will cast me. I like working with other actors because one can learn a lot. When people meet me they say I am so cute. All the girls think I am cute. The day people say I am hot, I will become a hero,a�? he laughs, going on to reveal that he is a a�?a�?big fan of Arjun Rampal.a��a�� Comfortable with comedy, Singh observes that even if he says something serious, it comes across as funny. a�?a�?My next movie will be quite a surprise because I am doing something I have never done before,a�? shares the Delhi actor who now has plans of relocating to Mumbai. What the Fish is scheduled to release on December 13.